According to Minted, their "... purpose in life is to uncover exceptional design from all over the world and bring this to savvy consumers who won't accept anything else." I am pleased to say that this post is sponsored by Minted. So let's get down to talking about how great Minted is. The company is a blogger favorite in large part because it celebrates the independent designer and provides a venue for the indie's designs to be shown and marketed. Every design on Minted is sourced via a design challenge, and every product is selected by consumers and designers by voting on entries to each challenge. Minted then produces and sells the winning designs, using fine paper stock, rich inks and crisp printing methods, and the designer gets a commission on each sale. There is even a designer community where peers can provide critiques to allow designers to improve over time. What's not to love. I can honestly say that I have never seen a Minted product that didn't make me smile. I have recently learned something new about the company. It could be that I am the last to know, but just in case I am sharing it with you. Previously, I thought of Minted as a source for stationary, party decor, announcements, baby journals---that type of thing. 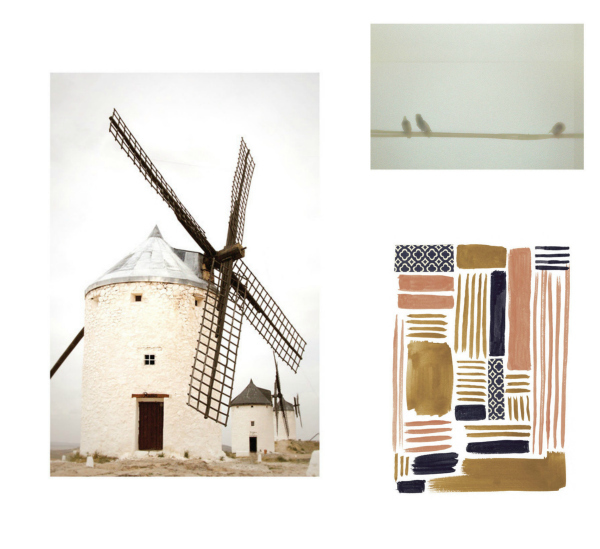 What I didn't know is that Minted sells terrific art prints at incredibly affordable prices. The prints go through the same challenge process as Minted's other products. They are offered in different sizes and colors. The prints also can be framed with 3 framing options. If all that goodness isn't enough, Minted donates 2% of proceeds from all works of art to the Every Mother Counts charity which works to reduce maternal mortality rates globally. There are many types of art to choose from on the website including children's art, photography, limited edition art prints and custom art. Such luminaries as Christy Turlington Burns, Marissa Mayer (CEO of Yahoo) and Alison Pincus (Co-founder of One King's Lane), among others, have all taken a turn at curating an art wall. You can see their picks on Minted"s website. Naturally, I had to take my own stab at it. It was very, very hard to choose--and I didn't even delve into the framing options (art almost always looks better framed). What I did do was limit my choices to Minted's limited edition art prints. Buying limited edition prints, where once a set amount is created the print will no longer be available, is always a better value for the buyer. What do you think of my picks? I chose these works based on color palette-primarily tan, salmon, gray and black-- which I think is very fresh. Other ways to curate a gallery wall include by artist, medium (perhaps all photography) or subject matter (e.g. beach shots). Having some type of theme does give your selections more of a cohesive feel , but of course that is a rule made to be broken. The only golden rule in buying art is to buy what you love! So go ahead, take a peek at Minted's selection. It's going to be difficult to keep your credit card in your wallet. Art credits: Windmill: Consuegra by Sharon Rowan, birds: Lovebirds + 1 by Rene Mijares, Abstract: Staccato by Moglea, Tan abstract: The Rapids, by Rose Lindo, hearts: Wood Grain Hearts by Max and Bunny, diamonds: Special Day Pattern by Abby Munn, ferris wheel: California Dreams by Alexandra Nazari . All art available on Minted. A note about sponsored posts on Decor Arts Now: First, I don't do many and there is a reason for that. I only write a sponsored post if it meets three criteria. One, I must believe in the product and/or website that I am writing about. Two, it matches my aesthetic and, three, I think you would be interested in the information provided. Of course all opinions are my own. All sponsored posts are identified as such in accordance with FTC Guidelines. See the Colloborations and Policies tab above for more information.